Little Katie and her dog, Smudge are best friends who love discovering and learning together. Smudge goes with Little Katie on her adventure to the moon, and even helps her when Little Katie's momma teaches her about coding. Little Katie's curiosity and inquisitiveness. Her relationship with Smudge who encourages her and accompanies her on all of her adventures, helping her to learn as she goes. How I learned something new from each book! 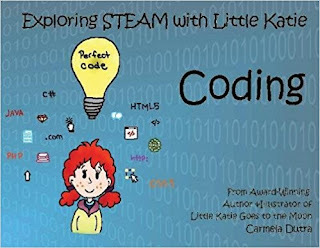 Carmela's website has free activity pages that go with each book so readers can keep learning with some hands-on fun. 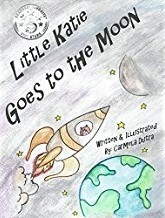 Who should read the Little Katie Series? Anyone who loves books about a young person exploring the world around her and learning as she goes. Carmela also has a previous series featuring Lorenzo the Bear. This series focuses on friendship and loyalty as Lorenzo and his friends go on a series of adventures. We didn't talk as much about this series in the podcast, but you can learn more about Lorenzo here. Nothing is more magical for a child than being transported to a new world where they can explore and discover unknown things. Carmela is very passionate about children’s literacy, which is the main reason she started writing for her niece and nephew. With no intention of her work ever going public, she wanted to create something fun and special for them to enjoy. 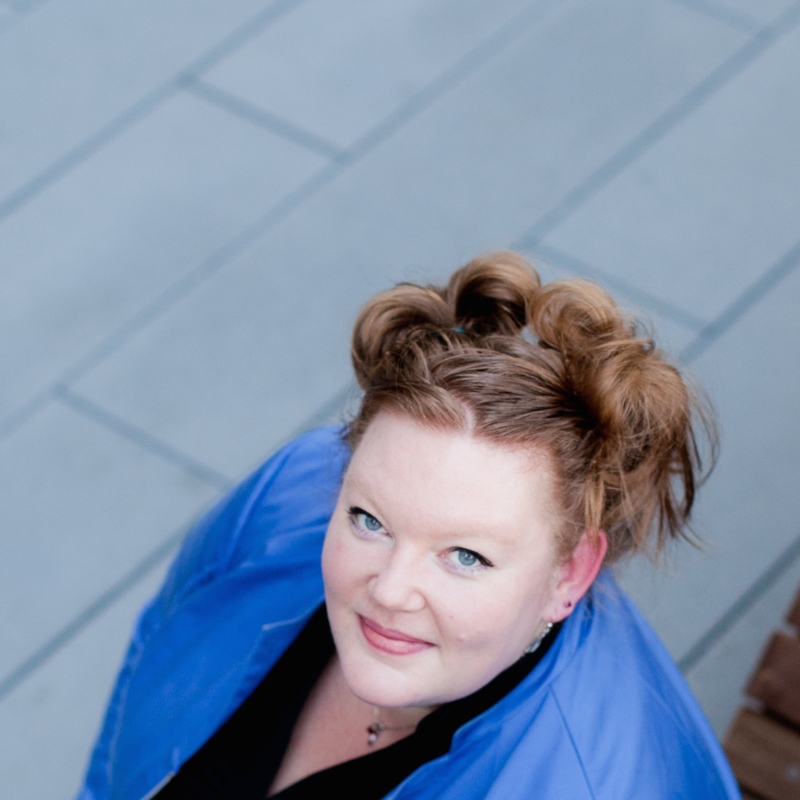 She is best known for her frequent visits to classrooms in her community, where she shares her series and encourages children to set free their own creativity through writing, and drawing. In addition to writing and illustrating, Carmela Dutra is also a professional photographer. Working with children is her passion! 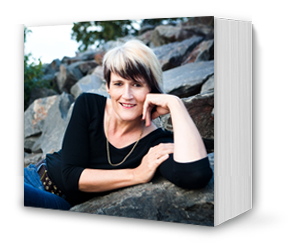 Whether she captures their whimsical nature through the lenses of a camera, or with her stories, she hopes to encourage children to find their own passion for reading and writing. To listen to the interview with Carmela please click here. 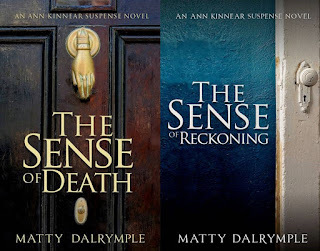 On today's episode I had the pleasure of chatting with Matty Dalrymple, author of the Ann Kinnear Series and the Lizzy Ballard Series. Ann Kinnear has created a peaceful existence at her cabin in the Adirondack woods. But the calm is shattered after Philadelphia socialite Elizabeth Firth is reported missing. With few clues and fewer options, detective Joe Booth calls upon Ann's spirit sensing ability to help solve the mystery. With Joe and her brother Mike, Ann attempts to uncover what Elizabeth's husband may be hiding beneath his cloak of wealth and privilege. I find Ann to be a fascinating and complicated character, and I am looking forward to getting to know her more as the series continues. The first book gives a good introduction to her, but there is still a lot to learn about Ann, her brother Mike, and Ann's abilities, which seem to be beginning to evolve a little. The Sense of Death is a fast read that sucked me in straight away and which I sped through, wanting to find out what happened next. The book is a little bit creepy without scaring the snot out of me (as I say in the interview...twice...I am a total wimp when it comes to this stuff) and without being graphic or overly gory. I know there are readers who would prefer their suspense/supernatural novels to be more scary and more graphic, but I just don't happen to be one of them. The way Matty approaches Ann's ability as just another part of her, like being able to sing or being left-handed. She takes the approach of, what would this person's life look like if they had this particular gift? The fact that it's not too scary or icky (yes, that's a technical term). It took a little getting used to, but I grew to appreciate that the book is told from multiple points of view, including the killer's, rather just from Ann's perspective. It gave a much richer version of the story as a whole. Fans of stories with supernatural or paranormal elements. Fans of ongoing series and really getting to know characters as the series evolves. "Ann and Mike Kinnear had grown up in a big, rambling old house in West Chester, Pennsylvania, that had a butler's pantry and a servants' staircase and wide window seats that were good for reading on rainy days. And a spirit." "'How come people always want more from me that I can give them?' burst out Ann, causing Gino and Walt, in addition to another couple at the bar, to turn and look. 'Or they want less from me than I have,' she added, taking a hefty drink from her martini." 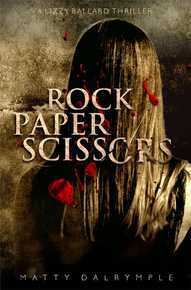 Rock breaks scissors. Scissors cut paper. Paper covers rock. The rules are simple--except when it's people's lives at stake. By the time Charlotte and Patrick Ballard discover the damage their daughter, Lizzy, can do with her mind, it’s already too late for Charlotte. They hide Lizzy away, trying to save others from the same fate, and trying to save Lizzy from life as a human lab rat. But they can't hide her forever. Little do they know that respected Philadelphia businessman Gerard Bonnay is responsible for Lizzy's ability. And Bonnay is willing to eliminate anyone who gets in the way of his goal of turning that power to his own ends. For my interview with Matty please click here. 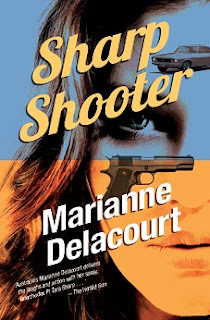 My third author interview was with Marianne Delacourt, author of the Tara Sharp series. This was a fun interview for several reasons: It was my first interview with a stranger (so I was a total nervous wreck). Marianne lives in Brisbane Australia while her agent, who was the one who contacted me initially, lives somewhere in Scotland, so I had this crazy, three-way conversation where I was trying to figure out who was in what time zone. Marianne is 17 hours ahead of me, so while it was afternoon for me during the interview, it was the following morning for her. I got to talk to her in the future! Finally, Marianne is lovely and I couldn't have asked for a nicer person for my first "non-friend" interview. But on to the series. Amateur sleuth and reluctant aura reader, Tara Sharp, returns in a new adventure. This time she’s looking after a difficult rock star in Bris-vegas and it’s not just him or his crazy fans she’s got to look out for – there’s danger and intrigue aplenty when you’re playing with the sharks of the music business. Tara Sharp is back again in this frightening foray into the music industry. 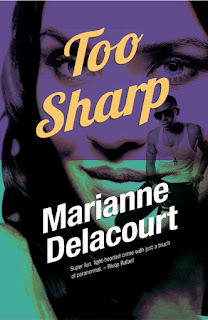 Things are a bit hot for Tara Sharp in Perth, so she jumps at the chance to leave town when a music promoter offers her a gig looking after a difficult rock star who’s performing in Brisbane. It’s not Tara’s usual line of work but the money is good and she’s a sucker for a backstage pass. Respite from her mother – with all her not-so-subtle hints about ‘eligible young men’ and ‘suitable jobs’ – is also a plus, as is the time and distance to resolve her mixed up feelings about the men in her life. Tara Sharp has been compared to Janet Evanovich's Stephanie Plum series. There are definitely some similarities, but where Stephanie comes into her bounty hunter career almost by accident, Tara embarks on her investigative career as a way to learn about and utilize her ability to read auras. Like Stephanie, though, Tara manages to find herself in some crazy situations that are both dangerous and often hilarious. In addition, Tara finds herself attracted to and interested in 2 very different men, which adds to Tara's already stressful life. How Tara's reluctance to use her gift evolves to a point where she is able to use it to start a career, make new friends and acquaintances, and learn about herself. The cast of secondary characters who are hilarious, quirky, and supportive of Tara despite the strangeness her life sometimes gets them all into. The off-beat humor of the story. Learning new Australian words and slang! 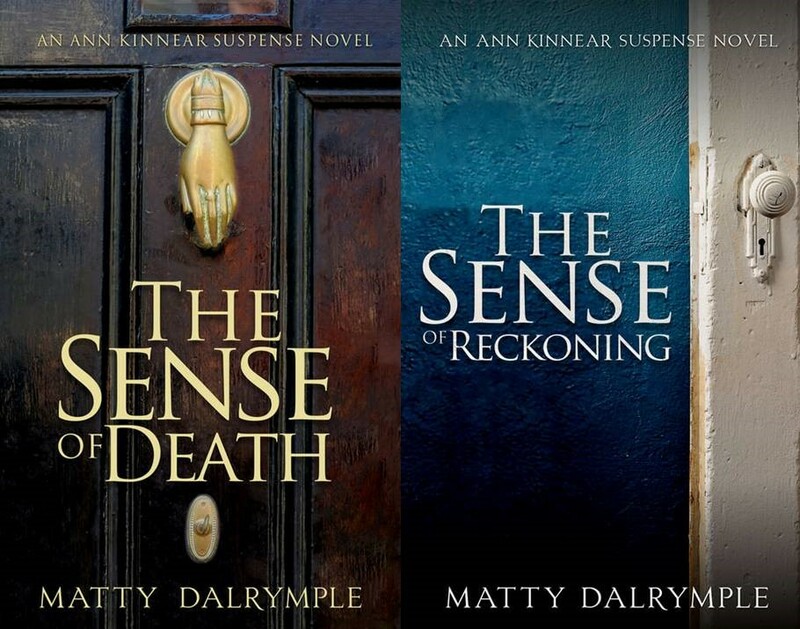 Fans of mysteries with heart and comedy. Fans of supernatural stories (with the bonus that they aren't creepy). 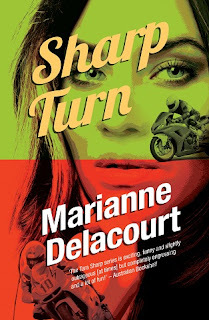 To listen to my interview with Marianne please click here. More than five centuries after Camelot, a new king heralded by prophecy has appeared. As one of the last sorceresses of a dying order sworn to protect the new ruler at all costs, Alwen must answer a summons she thought she might never receive. Bound by oath, Alwen returns to Fane Gramarye, the ancient bastion of magic standing against the rise of evil. For alongside the prophecy of the benevolent king, a darker foretelling envisions the land overrun by a demonic army and cast into ruin. Roberta said she got the idea for the series when she had the thought, "What if Merlin had been a woman?" Here we get a bit of that reimagining, although it's not the Arthur story. Alwen is chosen as a steward as a young age and she and the other 3 women who are chosen must go into hiding until the king of the prophecy comes of age. They are in hiding for 20 years when they finally receive the summons to return to take up their posts, which of course, is where the story really begins. 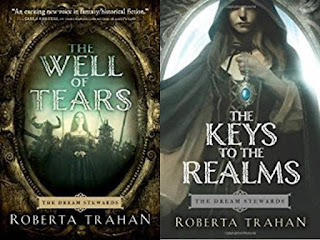 Alwen and her family must leave their home to travel back to Fane Gramarye where they face untold dangers and all must come to terms with Alwen's destiny. That the main character is a 40 year old woman. This is uncommon for the genre, where most main characters are young adults or teens. The multi-generational aspects of the story. Alwen's children also play a role in the story, and it's nice to see the way they interact with each other as they all try to figure out their roles in this new life they have been thrust into. The way it feels like an Arthurian legend but isn't. Fans of fantasy in general. Fans of the Arthurian legends. While also fantasy, the Realm Wraith trilogy has some distinct differences from The Dream Stewards series. First, it's contemporary fantasy, and pre-dystopian, if that makes sense. The faerie realm is also threatened by the ecological changes being wrought by humans. Second, it's a serial and you can read it on Roberta's blog. 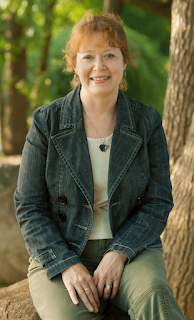 She spoke about writing a serial in our interview and how she encourages her readers to leave comments about the story, how they are experiencing it, etc., and that their comments have helped to shape the story as it goes. First off, I just love the concept. That you can read along as Roberta is writing and interact with her in a way that might eventually effect the story. That's really cool. I like that this series is contemporary/urban fantasy. I love stories that work magic and fantasy into the world as we know it. Someone who wants to read a story as it is being written, to watch as it unfolds and develops. To hear my interview with Roberta please click here. 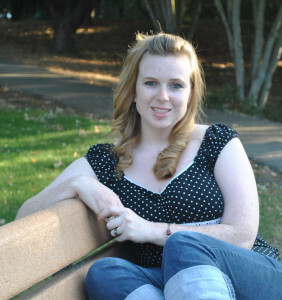 As I mentioned in last week's post, my second author interview was also my first. I did a two-part interview with my friend, Camille Griep. 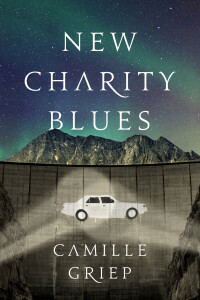 Since we talked about her first book, Letters to Zell in last week's post, I'll be talking about her second book, New Charity Blues, today. First, though, a bit of back story. Camille and I met in 1997 when we both worked at the same summer camp in the middle-of-nowhere Montana. I'm not exaggerating. It was 50 miles past the end of the paved road, and the camp sits somewhere around 6,000 feet in elevation. There are amazingly beautiful mountains all around. We worked together 2 summers, working together the 2nd summer as head cook (Cami) and assistant cook (me), and she has been a life-long friend ever since. I could tell you a million or so camp stories from those summers, but I think I'll leave them in the vault for now. Back to the book talk. New Charity Blues was published on April 12, 2016. As I mentioned before, Cami has a real gift for taking stories we already know and reexamining them from a new angle. Syd and Cas are actually reimagining of 2 minor characters from Shakespeare's play about the Trojan war. Neither woman is portrayed in a very good light, and Cressida is often touted as a whore because the man who supposedly loves her sees another man flirting with her. Cami said she wanted to explore the story of these 2 friends and their backgrounds to see why they might have acted in the way that they did. Rather than setting the story during the Trojan War, New Charity Blues is set in a post-apocalyptic world of the not-so-distant future. The way the book gives Cas and Syd backstories, making them real people with feelings and motivations rather than the way they have been perceived in other stories. The post-apocalyptic setting, which gives the story the urgency of the Trojan War, but enables to reader to enter into a somewhat more familiar world of a future. The complexity of the relationship between Cas and Syd and how that continues to evolve throughout the book. Fans of Science Fiction and Fantasy. Anyone who loves books that revolve around strong, female friendships. 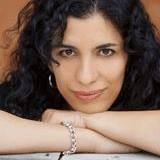 Anyone who has ever read a story and wondered about the portrayal of some of the minor characters and wondered what was their backstory? 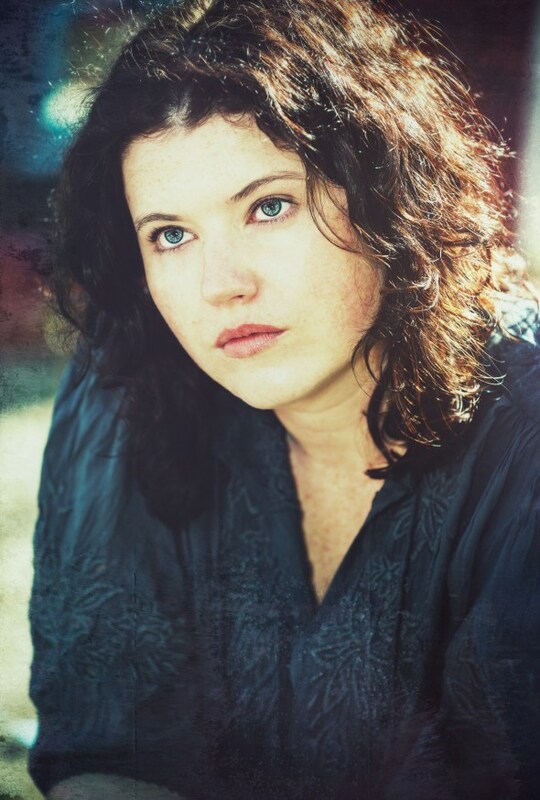 To hear the interview with Cami about New Charity Blues please click here. Today's episode features Laura Heffernan, author of The Reality Star Series. The first 2 books of the series, America's Next Reality Star and Sweet Reality are already out with the final book, Reality Wedding, coming March 6, 2018. I don't want to ruin anything for you if you haven't read the first one by telling you about the second, so I'm only going to give you the description of the first book in this post. This series is a lot of fun, and you don't have to be a fan of reality television to enjoy it. The reality TV part of the plot is merely the vehicle that helps to drive that plot. If you are a fan, though, you will enjoy some of the behind the scenes descriptions of what happens to the contestants as they go through the process of filming their show. I like Jen as a character because she is fairly down to earth. She makes the decision to go on the show not because she wants her 15 minutes of fame or because she's hoping to further her career in some way, but because she needs the money and she's intrigued that the premise of the show is based on games and puzzles. She isn't immune to some of the craziness that is bound to be present in a house where numerous strangers are stuck living together for weeks on end with no outside distractions. The supporting characters are a fun and motley collection of the type you would expect to find on a reality show: The girl next door, the jock, the one everyone loves to hate, etc. Chances are good you'll find your favorite character types within these books, or that you'll recognize yourself in a few of them. Both books are fun and funny, and perfect to read when you want to escape into a lighthearted story. The quirkiness of the characters that makes them both funny and relatable. The evolution of Jen's relationships with these characters throughout the books. Watching the characters try to maneuver their way through and out of some of the crazy situations in which they find themselves due to their presence on a reality television show. Who should read the Reality Star Series? People who aren't fans of reality television but who like romantic comedies. Anyone who has ever thought about maybe...just maybe trying out to be on a reality show. To hear my interview with Lauren click here! 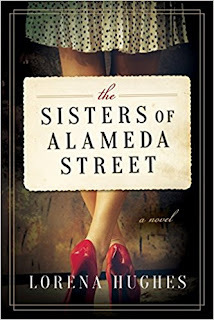 On today's episode of the podcast I chat with Lorena Hughes, author of The Sisters of Alameda Street. Lorena grew up in Ecuador before moving to the US for college, and this book, which is her debut novel, is set in Ecuador in the 1960s, with flashbacks to the 1930s and 1940s. The relationships in this book are complex and human. This is a family that houses a lot of secrets and as the outsider Malena is in a unique position to view them as individuals and a unit. As she begins to understand them she begins to learn why her mother might have given her up and why her father and grandmother lied to her about it for her whole life. The one thing Malena does know: Mama Bianca is her grandmother, and she embraces her as such from the moment of meeting her. She also has cousins in Claudia and Javier, but could they actually be her siblings? The mystery might be simpler if Malena just asks the sisters outright, but she quickly realizes that this could very easily cause more problems that it would solve. • The evolution of Malena as she finds out more and more about her birth family and begins to uncover truths about herself. 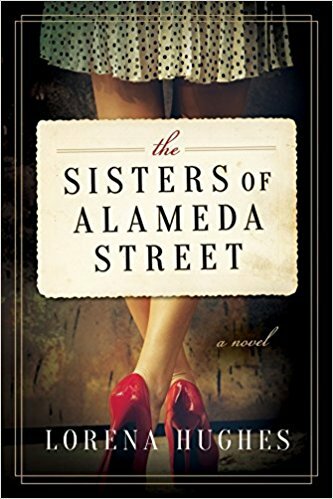 • The way the lives of the sisters slowly unfold as the book goes on, revealing more about what has shaped their decisions and where they are now. • The fashion is amazing (just look at that beautiful cover! (plus, I have a not-so-secret love of crinolines)). • Reading about a country I'm not terribly familiar with. • Fans of historical fiction. 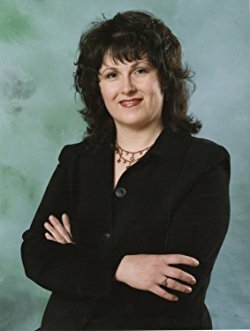 • Fans of family sagas with complex characters and relationships. • "What in the name of everything holy was this? Her mother had died in childbirth! At least that was what both her father and her grandmother has said. And as far as she knew, dead people didn't go around writing letters!" • "Malena couldn't pinpoint what it was that she loved about dancing. All she knew was that for a moment, she had forgotten all her worries, she'd felt more alive than ever, and she didn't want it to end--even if her feet felt the opposite way." 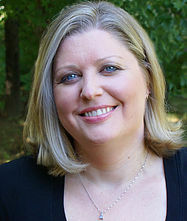 The very first author interview I did was with Camille Griep. This was a fabulous experience for 2 reasons: 1. I really liked both of her books, and 2. she's been a dear friend of mine for many years. (Let's not talk about just HOW many years, OK?) We did 2 episodes, one for each of her books. In this post I'll be writing about her first novel, and you can find that episode here. Interviewing a good friend is amazing, but before I sat down to read the books I had the terrifying thought of, "oh dear...what if I don't like them?" 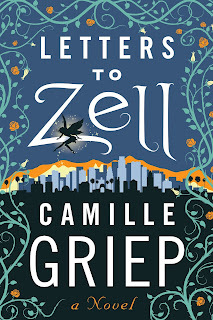 I knew Camille was a good writer, but just what if? What would I say? "Wow, Cam...I really liked your use of...um...commas!" Thankfully, I loved both books and could say so with no qualifications. Here's the thing: Camille can take a story that you already know, or are at least familiar with, and reimagine it to make you rethink the story or the characters. 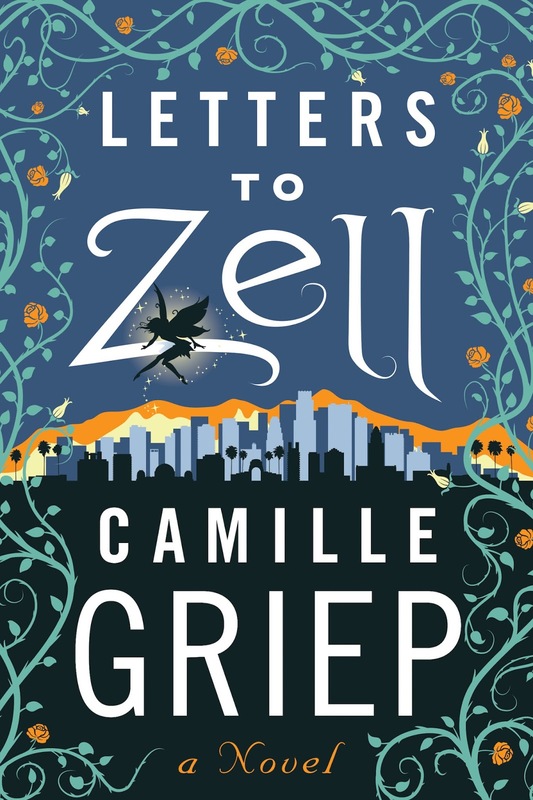 Her first novel, Letters to Zell, did this with fairy tales. The way the book makes the fairy tale characters more real and gives the princesses agency in their own stories. The evolution of both the characters and their friendship. The humor, which tends toward snarky (in a good way, I promise!). Anyone who loves fairy tales. Anyone who loves modern fairy tales. Anyone who has ever wondered, "but then what happened?" after the supposed happily ever after. Anyone who has ever wanted to chuck it all and go start a unicorn farm. I recently sat down with Meghan Masterson to discuss her new novel The Wardrobe Mistress. You can check out our full conversation here. 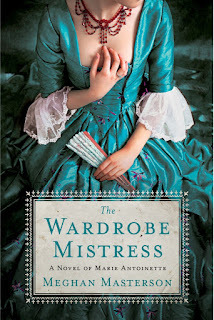 The Wardrobe Mistress is Meghan Masterson’s debut novel and gives us a story combining Historical Fiction, romance, and a dash of adventure. The story revolves around Giselle, an undertirewoman working to take care of Marie Antoinette’s massive wardrobe. When the book begins the French Revolution is in its nascent form, but as the story unfolds so does the Revolution. Because of Giselle’s placement in the queen’s household we see the Revolution from both sides. She meets Léon Gauvain early on during the Revolution and the two form an immediate bond that leads to romance. They seem ideally suited, but tensions develop from Giselle’s work with the queen. THE WARDROBE MISTRESS is Meghan Masterson’s fascinating and visceral debut, an inside look at Marie Antoinette’s luxurious life in Versailles remarkably juxtaposed against life in third estate as the French Revolution gains strength. A propulsive exploration of love, loyalty, danger, and intrigue…not to be missed. It’s Giselle Aubry’s first time at court in Versailles. At sixteen, she is one of Marie Antoinette’s newest undertirewomen, and in awe of the glamorous queen and her opulent palace life. A budding designer, it’s a dream come true to work with the beautiful fabrics and jewels in the queen’s wardrobe. But every few weeks she returns home to visit her family in the Parisian countryside where rumors of revolution are growing stronger. From her position working in the royal household, Giselle is poised to see both sides of the revolutionary tensions erupting throughout Paris. When her uncle, a retired member of the secret du roi, a spy ring that worked for the old King, Louis XV, suggests that she casually report the Queen’s actions back to him as a game, she leaps at the chance. Spying seems like an adventure and an exciting way to privately support the revolution taking the countryside by storm. She also enjoys using her insight from Versailles in lively debates with Léon Gauvain, the handsome and idealistic revolutionary who courts her. But as the revolution continues to gain momentum, and Giselle grows closer to the Queen, becoming one of the few trusted servants, she finds herself dangerously torn. Violence is escalating; she must choose where her loyalty truly lies, or risk losing everything…maybe even her head. The way Giselle walked between the 2 worlds of the French Revolution, seeing the side of her family and friends of the Third Estate as well as the side of the royalists in the royal family. How Giselle kept her word and stuck by her principals despite pressures and the potential of losing relationships that were important to her. The way the complex details of the French Revolution are woven seamlessly into the story so that we get the big picture while focusing on smaller details like the lives of those affected by the upheaval of the time.